Labor Day weekend nears, which will also herald the start of wine tasting season. From September to December, many wine stores will host large wine tasting events, where you can taste 25, 50 or even 100 different wines. Most of these events will be free, providing you the perfect opportunity to experience many wines which you may not have tasted before. As I have said often before, the best way to learn about wine is to taste it. Now, when you attend these wine tastings, you might be tempted to taste only those wines which seem similar to those you already know and love. For example, maybe you love Pinot Noir, so you then only taste Pinot Noirs at the events. Don't do that! Expand your palate and broaden your horizons by tasting different wines, ones you know nothing about. If it is new to you, take a chance on tasting it. These are free tastes so you lose nothing by giving them a try, and you might just find a new favorite. How do you know whether you like Albarino or not until you taste a few of them? You should even taste wines that you think you dislike, because you never know what a different region or producer might bring to the table. I had a general dislike for Cabernet Franc, because the ones I had tasted presented a green/vegetal taste which turned me off. Despite my feelings, I continued to try different Cabernet Francs, to determine if others might appeal to me. In the end, after additional tastings, I have found a number of Cabernet Franc wines which I have enjoyed, as they have lacked that intense green/vegetal taste. They have been more fruit driven and I have found them appealing, even purchasing some for my cellar. But if I had stopped tasting them because I had disliked some, then I would never have realized what I was missing. If you want to learn more about wine, then now is the perfect opportunity to do so. Attend some of these major wine tasting events and experience the great diversity of wines and grapes from all over the world. How can you turn down all that free wine? Even the weather won't be an issue as the tastings are often held inside, so neither heat, rain, or even snow may be an impediment. And if you find something you like, take notes so that you can find that wine again. At the very least, take a photo of the label. Most of us have phones now that can take good pictures so there is no need to fumble for a pen and paper. Click a photo and you can easily remember the wines that impressed you. You'll thank me later for helping you expand your palate. Sake lovers step forward and prepare to learn all about this wonderful beverage. John Gauntner, the famed Sake expert and "Sake Dendoushi" ("Sake Evangelist"), is holding his 9th Stateside Sake Professional Course in Las Vegas from Monday, December 5 to Wednesday, December 7, 2011. This is an educational opportunity you should not miss. The course runs for three days and finishes with an optional exam, which if you pass will garner you a Certified Sake Specialist certification. The course costs $775, which includes the three days of instruction, materials, all Saké for tasting, and one shot at the exam. There are only 60 spots available for the course. Gauntner states "The course is geared toward industry professionals wishing to expand their horizons in a thorough manner into the world of sake, and will therefore necessarily be fairly technical in nature, and admittedly somewhat intense. But the course is open to anyone with an interest in sake, and it will certainly be fun! The course lectures and tastings will begin with the utter basics and will thoroughly progress through and cover everything related to sake. There will be an emphasis on empirical experience, with plenty of exposure to a wide range of sake in the tasting sessions throughout the three days. Upwards of 90 sake will be tasted across the three days." For reservations or inquiries, please send an email to info@sake-world.com. With a limited amount of spaces available, I suggest acting soon if you wish to attend the class. I attended this course last year when it was held in San Francisco and you can read my review here. In short, it was a superb class, taught by an excellent instructor and well worth attending if you love Saké. I cannot recommend this class enough. Translation: I am very thirsty. That will be remedied soon enough, when I get the opportunity to drink plenty of Champagne, while savoring some exquisite French cuisine. 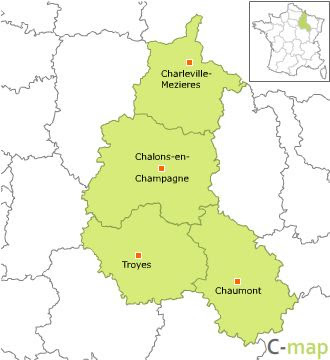 Tonite, I board a plane headed to Paris, where I will then travel about eighty miles to the city of Reims, in the heart of the Champagne region. This will be my first visit to France and I am excited to experience this region. Food, wine, history, beauty, new people, and so much more. Nibbling on a fresh croissant at a small cafe, touring the Cathedral of Notre-Dame de Reims, strolling through a food market, visiting a Champagne cave, sipping Champagne in a vineyard. So many experiences of which to look forward. I'll be journeying to this region as part of a journalist trip, sponsored by the Center for Wine Origins, with about seven other wine writers from across the country. We will be staying in Reims, traveling around the Champagne region. Our tentative itinerary includes visits to eight Champagne houses, including Penet-Chardonnet, Philipponnat, Mailly Grand Cru, Bruno Paillard, Nicolas Feuillatte, Pierre Gimonnet, Jacquesson and Collard-Picard. The harvest in Champagne officially began on August 19, one of the earliest harvests since 1822, so we will be in the middle of it during our trip. In 2010, the Champagne region produced about 320 million bottles, and the French purchased about 58% of that production, roughly 185 million bottles. Thus, the French drink a significant amount of Champagne, far more than any other country. As for the export markets, the United Kingdom is in first place, purchasing about 35 million bottles, and the U.S. is in second place, purchasing about 17 million bottles. Germany and Belgium are tied for third place, each purchasing about 9 million bottles. The food! Croissants, foie gras, mussels, escargot (did you know their is a snail museum in Champagne? ), and so much more. I am sure many of our meals will be paired with Champagne, which will be quite interesting and educational. I hope to return with a better understanding of pairing suggestions. In many respects, Champagne is supposed to be a versatile wine, pairing well with a variety of foods, so that will be put to the test during my trip. There should be some free time allotted to us on some of the days of our visit, so I will be able to explore some of the area on my own, trying to get by on my meager French. It will be a splendid adventure, exploring a country I have never visited before. I have been doing my research on the area, as well as seeking recommendations, so I have some ideas of the places I want to visit while I am there. So, as I will be in France until returning home next Friday, my blog posts might be scant this week. But I hope to return with many new stories and adventures to relate. 1) 50 Local is a year-old bistro, located in Kennbunk, Maine, with a menu that tries to use only farm products made within 50 miles. Open year-round, this restaurant is owned and operated by chef David Ross, who cut his culinary teeth at Great Bay and Sasso, among other notable Boston spots. Ross's dining room features a prominent blackboard that lists every farmer, fisherman, cheesemaker, forager or gardener whose wares contributed to the night's menu. * Grandma's Jam Jar: is a signature presentation. Always made with a sweet dollop of homemade jam from berries plucked from Grandma Paul's Kennbunk backyard, always served in an old timey Ball jar. This week is peach-infused bourbon with raspberry peach jam. Shaken with ice. Big and strong. * Sippin' Sangria: white wine is stirred with local watermelon puree, mint leaves, Curacao and a touch of brandy. * The Diego: A margarita made with local blueberries and cucumbers. 2) After nearly seven years in business at its current location in Arlington, Tryst restaurant has underwent a series of massive renovations and menu changes over the summer for what Chef/Owner Paul Turano claims finally completes his restaurant concept. Tryst will celebrate the grand re-opening on Monday, September 12, with buy one, get one free entrées from 5pm-8pm. “When I first opened Tryst, my goal was to bring the Boston dining scene to the suburbs, and I think we’ve done that to some extent, but life gets in the way. I originally had planned to return to honing the concept less than a year after we opened, but things got busy pretty quickly. Two kids and thousands of supportive customers later I feel like I have finally completed my vision of bringing a city-like neighborhood restaurant to Arlington, MA,” said Turano. The New Decor: The new restaurant layout will feature a more open floor plan including high-tops and a new lounge area, a new color scheme, hardwood floors and several flat panel TV’s, giving the location a livelier, almost gastro pub feel. The New Menu: To compliment the changes to the interior, the menu will also be updated to reflect distinctly different ways in which Tryst will be presenting fare to the dining public. Beyond a lower price point, the new Tryst menu will present casual/light fare such as salads, soups and sandwiches like their duck wraps ($11) or habernero chicken wings ($9), a new tapas menu in which customers can enjoy small plates for $6 each or 3 for $15 with a hand crafted cocktail such as: roasted asparagus with evoo & parmesan, ricotta stuffed squash blossoms with curried tomato sauce, and cheese croquettes, or dine in the classic sense with a full section of appetizers and entrees. On Monday, September 12, from 5pm-8pm, all entrées will be buy one, get one free during dinner service. Reservations are required and can be made by calling Tryst at (781) 641-2227. 3) From Saturday, Sept 10-Sunday, Sept 18, The Bristol Lounge will host All Star Burger Week, a weeklong celebration of National Cheeseburger Day. Executive Chef Brooke Vosika has tapped some of the city's best-known faces (and burger lovers!) to create their dream burgers. These All Star burgers will be served during Lunch & Dinner - and offered in addition to the famous Bristol Burger. A Canadian company purchased a U.S. distillery which produced bourbon, a uniquely American spirit. Yet for over forty years, the Canadian company would not permit that bourbon to be sold within the U.S., selling it only in Europe and Asia. Nine years ago, that bourbon finally became available in the U.S., but only after the distillery was purchased by a Japanese company. What a strange history for the Four Roses Distillery. The distillery actually was founded in Atlanta, Georgia shortly after the Civil War. As the prohibition movement spread throughout Georgia, it was decided to move the distillery to Kentucky in 1884. During Prohibition, Four Roses remained in operation, permitted to produce alcohol for medicinal purposes. Once Prohibition ended, Four Roses was in a good position and quickly became the best selling bourbon in the U.S. In 1943, the distillery was bought by Seagram, a Canadian company which would eventually become the largest distiller in the world. In 1960, as Seagram wanted to promote their own blended whiskey, they decided to stop selling Four Roses in the U.S, electing to only export it to Europe and Asia, where it would become very popular. When Seagram went bankrupt, and their assets sold off, the Four Roses brand was purchased by Kirin Brewery Company, a Japanese company, which once again allowed Four Roses to be sold in the U.S., starting in 2002. Several writers and I were invited to a luncheon at Toro, to meet Jim Rutledge, the Master Distiller of Four Roses Distillery, and taste his bourbons. Jim is certainly an encyclopedia of knowledge about bourbon, and very eager to share that information with others. He was very down to earth, passionate about bourbon, and extremely personable. This is exactly the type of guy you want to drink with, to spend the night sipping bourbon and chatting. A Congressional resolution of 1964 established "bourbon" as a "distinctive product of the U.S.," protecting the name "bourbon," akin to the protections afforded to "Champagne" in France. But, you might not know that bourbon can legally be produced anywhere within the U.S., and not just in Kentucky. 95% of all bourbon is made in Kentucky, with 255 bourbon brands, but you will also find small bourbon distilleries in places like New York, Indiana, Wisconsin and Missouri. I asked Jim what he thought of the non-Kentucky producers of bourbon, and he approved of them, provided they made authentic bourbon, following the legal requirements. There are five basic, legal requirements for a spirit to be declared a bourbon. First, it must be produced from a fermented mash of at least 51% corn. Second, it must be distilled at not more than 160 proof. Third, the final product cannot be more than 125 proof. Fourth, it must be aged in charred, new oak containers. Fifth, no additional flavors, colorings or other additives are permitted to be added to the bourbon. So it is a very natural product, which should appeal to those concerned about extra chemicals in their food and drink. The fourth requirement seems to confuse some people, as I have seen individuals claim that only American white oak can be used to age bourbon. Yet if you read the federal regulations, it is clear that any type of oak is permitted, including French oak, and Jim indicated they have even experimented with French oak, which tended to make a sweeter bourbon. White oak is the most commonly used oak though, as it is considered the best for imparting its flavors to the bourbon. The amount of charring of the oak can also vary from producer to producer, and there is no legal requirement for a specific amount of charring. For Four Roses, about 85% of their barrels possess a #4 heavy char, and about 15% of their barrels have a #3 medium char. As a comparison, there is another producer which uses a #7 heavy char, which seems a bit extreme as there can't be much oak remaining. Charring is done not only to give bourbon some color, but also to better allow the wood to impart its flavors. Four Roses uses two different mashbills, its grain recipe: one with 60% corn, 35% rye and 5% malted barley and the other with 75% corn, 20% rye, and 5% malted barley. These recipe are at least 40 years old, and the rye is intended to add richness and spiciness to the blend. Interestingly, they also use five different, proprietary yeasts, thus making 10 different recipes. They are probably the only distillery using more than one yeast, and acquired four of those yeasts once Seagram shut down business. All ten of their recipes are used in blending for consistency of their bourbon. Obviously, using ten recipes requires much more time and effort, but they feel that is beneficial for the quality they seek. Their blending is all done by taste and smell, as they do not believe any computer is capable of detecting flavors as well as they can. I tasted three Four Roses bourbons, including their Yellow Label, Small Batch and Single Barrel. The Yellow Label, at 80 proof, is currently the #1 bourbon in Europe and Japan, and uses a screwcap. It is smooth, with a blend of floral, mild spice and herbs flavors. Though this would be an ideal bourbon for cocktails, it would even be good on its own, neat or on the rocks. The Small Batch, at 90 proof, comes with a cork cap, and is more complex than the Yellow Label. It possesses a floral and spicy aroma but the flavor is slightly sweet with underlying spice notes. A very fine sipping bourbon which I would prefer on its own rather than in a cocktail. The Single Barrel, at 100 proof, also comes with a cork cap, and its aroma reminds me of the smell of an aged sherry, appealing caramel, vanilla and almonds. It is smooth, complex and has an intriguing melange of flavors, ending on a very spicy note. During our lunch, we had a variety of delicious tapas, from Marcona almonds to roasted corn with cotija cheese. I felt that one of the best dishes with the bourbon was the sliced beef. I asked Jim about his favorite food pairings and he stated that bourbon goes with most anything. He loves to grill and marinates nearly all of his meat in bourbon, even his burgers. I have had plenty of meats and fish marinated in bourbon, but never a burger so it sounds like something to try before the grilling season is over. As Four Roses is still a small distillery, and relatively new once again to the American market, they must be aggressive in their marketing. Currently, they still export about 94% of their bourbon, selling only about 23,000-25,000 cases in the U.S., about 25% of those sales in Kentucky. Bourbon drinkers are often very loyal so it can be difficult to get them to change brands. It is a relatively friendly industry though, and bourbon makers are often hang out together, sometimes dining out where everyone brings their own bourbon, but you are not permitted to drink what you brought. I asked Jim what he felt was the most significant challenge to the bourbon industry, and his answer was surprising. He felt that the greatest challenge involved the issue of GMO (genetically modified organism) corn. Yields of non-GMO corn are shrinking but numerous countries will not permit GMO corn to be used in products sold in their country. Right now, Four Roses does not use any GMO corn and has bought corn from some of the same farmers for over 50 years. They actually pay those farmers a premium to obtain the best of their corn as Four Roses believes in using the top raw materials they can. But, they are not sure how much longer they can exist without using some GMO corn. GMOs are a very controversial topic so this could become a significant issue in the near future. Domo arigato to Kirin for bringing Four Roses Bourbon back to the U.S. It is a high quality bourbon which gets my hearty recommendation. As I walked upon the grounds of Alta Vista Winery, I noticed numerous small, furry creatures scampering about the grass. On a closer look, I realized that they were guinea pigs, and I easily saw a dozen of them. They have free reign of the property, and though there are some people in South America who eat guinea pigs, these do not end up on the barbecue. Not that I would have minded trying a bit of grilled guinea pig if it had been offered. The Alta Vista Winery is situated in the small town of Chacras de Coria, in the wine region of Luján de Cuyo, just south of Mendoza. It is owned by the D'Aulan family, a French family with wine interests in Argentina, France and Hungary. They founded Alta Vista in 1997, renovating older winery buildings that had been around since 1890. Their focus is on Malbec and they currently own about 200 hectares of vineyards, nearly all in Mendoza, and all at an altitude of 1000-1100 kilometers. One of their vineyards is in Cafayate, where they obtain their Torrontes. They believe that altitude is very important to the quality of their wines, a sentiment echoed by many other wineries in Argentina. They produce about 140,000 cases annually, with 60% being exported to various countries. Matthieu Grassin, a native of the Loire, is their wine maker and brings a European flair to the winery. There are numerous old vines in the vineyards, and they are irrigated by a gravity system, though that can cause some uneven watering, leading to certain sections being less ripe than others. All of the grapes are hand harvested, and most of their wines are fermented in concrete with epoxy. The concrete tanks are square in shape, which means that 25% more of the wine is in contact with the concrete walls. As constant and specific temperatures are needed, the concrete allows that to occur. To do the same job, stainless steel tanks would have to be much thicker and would also be much more expensive, though they do use stainless steel for their white wines. Their tanks are smaller and they possess three times the number of tanks than any other winery in Argentina of comparable size. The original wine cellar, constructed in 1889, has been retained though some newer and smaller cellars have been added. Nearly all of the wines I tasted from Alta Vista were either 100% Malbec or Malbec dominated blends. But, I did get to taste their 2010 Alta Vista Pemium Torrontes ($14.99) and it was one of the best Torrontes I tasted while in Argentina. They pick the grapes for this wine on three different dates, so that they can obtain different characteristics, such as a little bitterness from the less ripe grapes. I found the wine to be very aromatic, with pleasant citrus and floral aromas. On the palate, flavors of citrus, pineapple, peach and white flowers complemented the crisp, clean taste. It had some character, and was not a simple, one-note wine. At this price, it is a very good value and simply a delicious wine that I would highly recommend. In general, their Malbecs evidenced consistent quality and they certainly showed the many different faces of Malbec, how terroir in Argentina can affect this grape. They have chosen to specialize in Malbec, and their passion and devotion have led to the creation of some excellent wines, at all price points. The 2009 Alta Vista Premium Malbec ($14.99) delivers a mouthful of ripe plum and blackberry, with some mild spice notes, moderate tannins and some character. It delivers more than many other similarly priced Malbecs and is a good entry wine into their portfolio. Moving up the portfolio, the 2007 Alta Vista Terroir Selection Malbec ($25-$30) is a blend of the grapes from the best terroir of that year, and they only produce about 100 cases. It is more complex than the Premium, and also had a spicier core as well as a lengthier, and very pleasing finish. A more serious wine, it should be paired with steak or a hearty dish. I also got to try three single vineyard Malbecs from 2007, each about $50, showing a progression of vineyards from the north to the south, including Temis, Serenade, and Alizarine. All three were complex and compelling wines but my personal preference of the three was the 2007 Alta Vista Single Vineyard Temis. I enjoyed the Temis because I felt it had the best balance of black fruit and spice. The Serenade was more spice dominant while the Alizarine was more fruit dominant. Your own personal preferences will indicate which of the three you would like more. The first wine that Alta Vista ever produced was the Alto ($115), now considered an Argentine icon. They produce about 100 cases annually and do not produce this wine every year (which they did not make in 2008). It is always a blend of Malbec, from the Alizarine vineyard, and Cabernet Sauvignon, from the Temis vineyard, and the proportions of each will vary year to year. I tasted a vertical of three vintages, 2005-2007, and they were all impressive though my personal favorite was the 2007. Both the 2005 and 2006 were blends of 75% Malbec and 25% Cabernet Sauvignon, while the 2007 was 70% Malbec and 30% Cabernet Sauvignon. 2006 was considered one of the best Malbec vintages in recent history. All possessed an alcohol content of 15%, and each was complex, interesting and unique in its own way. The 2007 was more muscular and powerful, yet well balanced, while the 2006 was much more elegant and restrained. The 2005 opted for more of a middle ground between these two others. These are pricey wines, yet they are high quality ones as well, and worth the splurge if you really want something special. I still would have liked to see which wine went better with grilled guinea pig, the crisp Torrontes or a spicy Malbec. The tale of Beauty and the Beast is well known, and its theme and basic framework have been used many times, in books, movies, television shows, plays and more. It teaches us to look past the shallow surface, to find the beauty within, and it would not have had such an impact if beauty were not an important value. There is probably not a single human culture which does not possess a concept of beauty, though what they consider to fit their definition of beauty can vary widely. In the end, it boils down to cherishing what we find to be aesthetically pleasing. Beauty, of whatever kind, invariably excites the human soul to tears. The appreciation for beauty often seems to get lost in discussions of food and wine, though its importance there should not be underestimated. I am talking about beauty in all its aspects, not solely the visual, which can touch any of our senses. And I am not discussing any particular definition of beauty either, but merely the aesthetic concept which can encompass all of the diverse definitions. We need to embrace beauty, to praise it, to savor it, to share it. Last week, I mentioned Ernesto Catena who possesses a Japanese aesthetic, which influenced the creation of his Alma Negra winery. An appreciation of beauty is one of his primary motivations, and his passion for that beauty is infectious. He relishes the beauty of nature, of simplicity, of balance. Fred Minnick, a friend of mine, is an accomplished photographer, often taking wine and food related pictures. He has an excellent sense of aesthetics, drawing out the beauty of his subjects, whether they are people or inanimate objects. Even the most grotesque of subjects can be transformed into a beauty through a skilled photographer's eye. Terry Theise, wine importer and author, wrote Reading Between the Wines, which contains many beautiful phrases and sentences, showcasing the aesthetics of language. Writers understand the beauty of language, and how a special turn of phrase can elevate a story to another level of aesthetic appreciation. A wine bottle may possess an ugly label, yet the wine within might be indescribably beautiful, a sublime sensory pleasure. A plate of food which is presented beautifully will often seem to taste better than a messy, unappealing looking plate. It is often said we eat through our eyes, and there is some truth to that. There is no endeavor where beauty does not play some role, and we should endeavor to cherish beauty where ever we encounter it. To that end, I would like to see more food and wine writers embrace the beauty, in what they experience as well as how they present themselves. Let your writing highlight beauty while you also attempt to make your words beautiful. Eaters and drinkers, don't just swallow and guzzle, but take time to appreciate the beauty of what is on your plate and in your glass. Take time to allow your senses to properly savor everything. Beauty elevates our experiences so we should be eager to seek it out. Usually if you are poured a glass of koshu, aged sake, you would know immediately because of its darker color, sometimes almost a mahogany. To me, koshu almost seems to smell and taste like an aged port or sherry, taking on more caramel and nutty aromas and flavors. It also becomes more full-bodied and its umami flavor intensifies. But I recently found an aged sake which shattered my preconceptions about koshu, and which also thoroughly impressed me. Koshu is a rarity nowadays in the sake world, most sake being produced to be consumed within a year of their release. Historically, koshu was popular in the 17th century but fell out of favor in the 19th century, and has only seen a minor resurgence in the last 10-15 years. Sake may be aged for about 2-10 years and there are even a number of different terms that refer to the length of the aging. Koshu, when not used as a generic term for all aged sake, may refer to sake that has been aged for 2-3 years. Hizoshu can refer to sake that has been aged for at least 5 years. You might also see Kokoshu (“old, old sake”) or O-goshu (“great old sake”). The Kaetsu Sake Brewery Co. Ltd., located in the Niigata Prefecture, produces an aged sake which is unlike any I have ever tasted. The brewery was established in 1880 and is close to the Kirin-zan ("Kirin Mountain"), which is steeped in myth and legend. The Kirin is a mythical creature that originated in China, and has taken on a variety of forms throughout the centuries. It generally is depicted as a hooved animal, sometimes with antlers, sometimes covered in flames, and sometimes covered in scales. It is a symbol of good luck, and their rare appearance is considered to be very fortuitous. Kirin is also the name of Kaetsu's primary sake brand. The Kirin Daiginjo Hizoshu uses Yamada Nishiki rice which has been polished down to 40%, and it has been aged for five years. 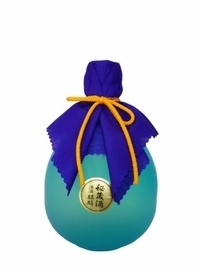 If you look at the picture above, you can also see that the sake comes in an interesting blue bottle. What makes their aged sake different is that they store it at very low temperatures, which prevents, or at least slows, some of the typical chemical processes that occur during usual sake aging. So, if you look at the sake, it lacks the darker colors of other aged sakes. It is basically clear in color, the same as almost any other usual daiginjo. So, just be looking at it, you would never realize it had been aged for five years. When you taste it, you won't realize you are drinking an aged sake either. It is clean and dry, with a very smooth and mellow taste, with subtle hints of fruit, some melon and pear. If you slowly savor its taste, really paying attention, you will realize its complexity and detect the subtle layers of flavors. As a Daiginjo, I would have been impressed, but knowing it was also an aged sake made it even more impressive. It really showed me the potential of aging sake, as well as indicating the diversity of aged sake. This is a sake I highly recommend. Wandering the grounds of Alma Negra are at least six llamas, which often spend time in the Mayan ball court next to the winery. Each day, these llamas follow a regular route through the vineyard grounds. They are very intelligent and efficient animals, though be careful as they can spit. These llamas are being trained to eventually carry grapes. Llamas (Lama glama) are a South American member of the camel family, though also placed into a category known as lamoids, which include the alpaca, guanaco, and vicuña. Llamas are the largest of all lamoids. Lamoids lack humps, and are typically long necked herbivores with large, pointed ears. Throughout history, the llama has been used primarily as a pack, not a riding, animal. Like camels, llamas have a high thirst tolerance and they also possess a powerful stamina, making them an ideal pack animals. An average llama can carry about 100 pounds, and their generally docile nature made them an excellent pack animal. Llamas have also been shorn for their wool, which may not be as insulating as alpaca but is still a good choice. To the Incas, llamas were sacred animals who belonged to the mountain gods. There were special government Llama-Michis ("llama herders") who bred and managed llamas, and it was forbidden to hunt llamas. On the first day of every lunar month, the Incas would lead 100 white llamas into their main square, where they would be sacrified. Sometimes they would be killed outright, while others might be tied out and allowed to starve. The hungry llamas would cry out, which was thought to deliver a message to the gods. The Incas also used llamas in divinatory practices, and scrutinizing the lungs of a sacrificed llama was supposed to be very effective. The priests would inflate the lungs, blowing through the trachea, and then read the shape and course of the veins. Like many different cultures, the Incas had a myth of a great flood that once nearly destroyed the world. The tale mentions that two goodly shepherds were worried as their llamas seemed out of sorts, and the llamas shared their gried with the shepherds. The llamas knew that the flood was coming and that their only possible deliverance was to hide high in the Andes. The two shepherds did the same, taking their families with them. When the flood came, it devastated the world yet the two shepherds and the llamas survived. The llamas still remember the flood, which is why they choose to live only high in the moutains. When Pizarro invaded Peru, attacking the Incas, he took the top Inca, Atahualpa, captive. The Incas were willing to pay a great ransom for his release, and delivered much gold to Pizarro. But, Pizarro had Atahualpa killed anyways, and his queen learned of this treachery as a second load of gold for the ransom was on route. Allegedly, this second load consisted of 11,000 llamas, each bearing 100 pounds of gold. The Incas stopped the delivery, burying the gold to hide it from the conquistadors. And it was never found. The Incas worshipped many gods, including Urcuchillay, a multicolored llama who guarded and protected animals, and was especially worshipped by herders. The constellation we know as Lyra, resembled a llama to the Incas so they decided that was the location of Urcuchillay. Llama has sometimes been used as food and you can find llama meat locally at Savenor's. I have eaten llama and it resembles beef, and is quite tasty. It also seems that llama meat has more protein, and less fat and cholesterol than beef. A good pairing would be a llama steak with a Malbec from Argentina. And who doesn't love llamas? This intriguing melange is a description of Alma Negra (which translates as "black soul"), a wine project of Ernesto Catena, the son of the renowned Nicolás Catena Zapata. While I visited Argentina, I got to meet Ernesto and tour the lands and winery of Alma Negra, all of which were compelling for a variety of reasons. Ernesto straddles the line between science and art, having a computer science degree from Tufts University in Massachusetts (giving him a local connection) as well as a design degree from the Domus Academy in Milan. Yet it is his passion for beauty, his affinity for Japanese aesthetics, which seems to be his most significant motivation. Ernesto received the winery from his mother, and it was his desire to create a winery dedicated to beauty. While traveling in Mexico and Guatemala, Ernesto, who has some Mexican ancestry, was taken up with the architecture of the ancient Mayans and he decided to construct a winery to showcase a Mayan style, which his father would later adopt for his own winery. This is a cool look, giving the winery a connection to the past as well as contributing to an appealing aesthetic. Above, you can see a Mayan ball court area, located next to the winery, where bocce ball is now played. It is always one of the favorite areas for the llamas that run loose on the property. There is a polo field elsewhere on the property, and Ernesto is an avid player. On the grounds, there is a unique rose garden, which grows an ancient species of rose from Patagonia. It is surrounded by a circle of wooden frames, as seen above, and it was intended that this circle could be seen from the sky. This was not an accident as when Ernesto designed the winery, he looked up into the sky for his inspiration. The round winery is intended to symbolize the earth while the rose garden symbolizes the sun. The symbol of the moon is their labyrinth of vines, where Ernesto actually hopes people will wander lost for a time, and "get to know their inner souls." At the center of the labryrinth, Ernesto has buried a cow horn stuffed with crushed, powdered quartz, also known as Biodynamic Preparation 501. The vineyards are planted with Malbec, Cabernet Sauvignon, and Cabernet Franc, and their first vintage was 2003, when they only produced 11 barrels of wine. The vineyard is certified organic and should be certified biodynamic by Demeter next year. Ernesto also owns vineyards in other areas of Argentina, including Valle de Uco, Agrelo, La Consulta, Vistaflores and Rivadavia. In addition, he purchases grapes from about 150 different suppliers, only two which are biodynamic, and most with which they work closely with to ensure the quality of the grapes. You will also find numerous animals wandering the premises, including horses, cows, and llamas. When planning the winery, Ernesto did not have any intention of making it biodynamic. But, once he learned about the theories of biodynamics, he felt that it fit his already existing philosophy, his sense of aesthetics. To Ernesto, biodynamics does not necessarily make better wine but it makes them feel better and it is aesthetically beautiful. He even admitted that there are things wrong in biodynamics but "we need to take a stand" as "we have gone too far on the side of science" and "need more balance, to leave things more natural." Biodynamics is a goal, and aspiration, for Ernesto, despite the fact there is no real market in Argentina for biodynamic wine. Little of Ernesto's wines are currently biodynamic, and it will take years for the winery to start producing a significant amount of biodynamic wines. The winery on the property is made only to produce sparkling wine, and you can see the riddling room above. There are future plans to build a still winery next to the sparkling one. Ernesto seeks originality in his wines and enjoys experimenting, unworried about taking risks. He indicated that their current vintage 2011 was very good. (Remember that as Argentina is in the Southern Hemisphere, our spring is their fall so they already had their harvest for 2011). We were fed very well for lunch, a wonderful asador, Argentine barbecue, just a smorgasbord of grilled meats as well as a scrumptious fried provolone. A carnivore paradise, which makes me ponder how well I could dine in Argentina if I lived there. As we ate outside, we were surrounded by the majesty of the vineyard lands, with a river behind us, the mountains jutting forth. We watched llamas wander as we savored delicious food and wine. Of the Alma Negra wines, the two which most impressed me were the Misterio (the "mystery") and Gran Misterio. The name is an homage to the fact that we know so little about everything, and should pay close attention to what we do not know. An intriguing philosophical thought, and how many other wines do you know where the name has such a deep, intellectual meaning? The 2009 Alma Negra Misterio ($40-$45) is a red blend and may contain Malbec, Petite Verdot, Merlot, Bonarda and Cabernet Sauvignon. Ernesto wants to keep the blend a mystery, to prevent any preconceptions based on knowing the grapes involved. It is primarily in the U.S. where people constantly want to know the grapes within a wine. Only 1000 cases were produced, and it has an alcohol content of 14%. The wine had a sweet spice aroma, with hints of blackfruits. On the palate, it was decadently smooth, with a complex melange of spice, vanilla, blueberry, ripe plum, and more. It was well structured with a long and pleasing finish. A hedonistic wine meant to savor, and which does not require food to enjoy, though it definitely would pair well with a fine steak or hearty dish. I was very impressed with this wine and highly recommend it. The 2006 Alma Negra Gran Misterio ($80-$90) is a similar blend, though again as we do not know the actual make-up, it could even be different than the regular Misterio. Only 500 cases were produced, and it has an alcohol content of 14.1%. It is the darker, bolder and more tannic cousin to the regular Misterio. With a dark purple, almost black, color, it also has a milder aroma, still of spice and blackfruit. While the regular Misterio seduced you, this wine ravages your palate with its power. It is more dark spice, leather, and blackberry, with fierce tannins. It is a wine that desperately needs to be paired with a hearty hunk of beef, and I would like to see how a few more years of aging might mellow this wine a bit. It truly is a stunning vineyard, and I admire Ernesto's philosophy and aesthetic values. He is a unique and passionate individual and I wish him all the luck with his future endeavors. 1) On Saturday, August 20, celebrate the kick-off of the first annual North Shore Wine Week at the Wine ConneXtion located in North Andover. From 12pm-5pm, sample wines specially paired with cuisine from participating North Shore Wine Week restaurants including Brasserie 28, 62 Restaurant & Wine Bar, Tuscan Kitchen, Burtons Grill, and Oregano Pizzeria and Ristorante. Sponsored by Northshore magazine, in conjunction with NECN’s TV Diner, Red White Boston, Quarterly Review of Wines, the North Shore Dish and the Merrimack Valley Chamber of Commerce, North Shore Wine Week seeks to celebrate the North Shore as a premier destination for great wine and food. North Shore Wine will run from Sunday, August 21 through Saturday, August 27, with North Shore restaurants and wine stores joining together to hold the first annual North Shore Wine Week including: 15 Walnut, 62 Restaurant & Wine Bar, Alchemy Café and Bistro, Alfalfa Farm Winery, Beacon Hill Wine Shop, Black Cow Tap and Grill(Newburyport), Bonta Restaurant & Grill, Brasserie 28, Bistro 45, Burtons Grill, Busa Wine & Spirits, Café Escadrille, Ceia Restaurant, China Blossom, Finz Seafood & Grill, Grand Trunk Old World Market, Grapevine Restaurant, Ithaki Mediterranean Cuisine, Joe Fish Seafood Restaurant & Bar, Joseph's Trattoria, Keon's, Kappy’s Fine Wine & Spirits, Latitude 43, Loretta Restaurant, Masa Restaurant, Nathaniel's at Hawthorne Hotel, Oregano Pizzeria Ristorante, Orzo Restaurant, Pamplemousse, Pellana Steakhouse, Salem Waterfront Hotel, Samuel's at The Andover Inn, Savour Wine and Cheese, The Loft, Tuscan Kitchen, UrbanWine Project, Wild Bites, Wine ConneXtion, and Yella Grille. 2) All Star Sandwich Bar will offer a Global Street Foods menu from September 6 thru 30 with featured sandwiches (and more) in rotation every few days. These sandwiches are priced from $9.95-$11.95. Kalbi (back by popular demand from 2010) of BBQ Braised Short Ribs with House-made Kim Chee, Crispy Won Tons, Fried Egg and Wasabi-Yuzu Ranch Dressing on Black Pepper Brioche. 3) A Taste of Roslindale will take place on Thursday, September 22, from 6:30pm-9pm at St. Nectarios Greek Orthodox Church, located at 39 Belgrade Avenue in the heart of Roslindale Village. Hosted by Roslindale Village Main Street, the event will feature samples from 21 of the area’s restaurants. From haute-cuisine nibbles to authentic ethnic fare, there’s a little of everything Roslindale’s award-winning culinary scene has to offer. Best of all, the event supports a fitting cause: all proceeds benefit two longstanding community organizations, the Roslindale Food Pantry, serving families in need in the Roslindale area, and Roslindale Village Main Street, a volunteer organization, which has received national recognition for its work in revitalizing the business district. Taste goers will also enjoy live music by one of Boston’s top performing jazz artists, the Patrice Monahan Quartet. A live and silent auction, raffle and cash bar will also be part of the fun. Participating eateries include: Bangkok Café, Bel Lounge, Birch Street Bistro, Blue Star Restaurant, Boston Cheese Cellar, Brickhouse Café, Café Rialto, Corrib Pub & Restaurant, Delfino Restaurant, Dunkin Donuts, Fornax Bread Company, Himalayan Bistro, Jimmies Ice Cream & Sandwiches, Masona Grill, MJ’s Sub & Pizza, Pleasant Café, Popeye’s Louisiana Chicken, Redd’s in Rozzie, Seven Star Street Bistro, Sophia’s Grotto, Sugar Baking Company & Restaurant, and West on Centre. Many people seem confused and/or intimidated by how to pair wine with food, likely due to hearing about all of the "rules" of wine/food pairing. If they consult all these various rules, they will find some that are contradictory, while others are overly complex. Some of those rules are antiquated or based more on custom than logic. My best advice is for you to ignore those rules, and drink whatever wine you wish with whatever dish you decide to eat. If you enjoy a big bold Cabernet with your haddock, then go for it. But, even though there are no absolute rules, there are scientific and logical reasons why some wines and foods pair better together than others. You don't have to follow those pairings, but many people will likely find them pleasing so you might want to give some consideration to these pairings. What is the most versatile wine for food pairings? In what I am sure will be a surprise to many, it appears to be fino sherry, a dry, fortified wine that is underappreciated in the U.S. Spaniards though have know about the versatility of fino for a long time, and drink fino with a wide variety of dishes. Yet in the U.S., most of the sherry that is consumed is sweet rather than dry, and fino lovers occupy the tiniest of niches. The quote that started this post is from Taste Buds and Molecules: The Art and Science of Food With Wine by Francois Chartier (McClelland & Stewart, September 2010). 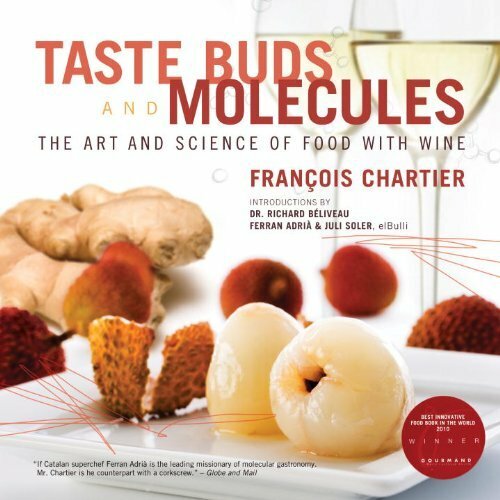 Chartier is a sommelier and author, and pioneered research into what he calls "food harmonies and molecular sommellerie." This book is currently available in Canada (I bought my own copy while in Toronto) but a U.S. edition is due out in 2012. Chartier has written a compelling book on the science behind food and wine pairings, concentrating on the role of aromas. He believes that bridge ingredients are the most important catalysts in food/wine pairings. The term "bridge ingredients" refers to those ingredients, herbs, spices and flavors which can be added to a dish to create a greater affinity with certain wines. For example, rosemary is said to create a better affinity with Cabernet Sauvignon. So, though chicken and Cabernet Sauvignon is often not considered a usual pairing, the addition of rosemary to the chicken should create a better pairings with the Cabernet. Thus, the main component of a meal becomes much less important than the bridge ingredients. The key behind the theory of bridge ingredients seems to be based on the use of aromatic families. Much of our sense of taste is really based on aroma, and those aromas are based on compounds such as acids, alcohols, phenols, and esters. These volatile molecules are of different molecular densities, which is important with wine in comparison to its alcohol levels. In low alcohol wine, generally 10%-14%, the initial aromas you perceive with have low molecular densities and later you will begin to detect the high density ones. This is why when tasting such wines, you should take some time with them, to see how they evolve in your glass. With high alcohol wines, 15.5%-20% (often found in fortified wines), the aromas with low molecular density either cannot be detected or vanish very quickly. There are approximately 307 volatile compounds found in the different types of sherry, which is the reason why it is so versatile with food. Few, if any, other wines have as many volatile compounds. A significant reason for their great amount of volatile compounds is due to the unique solera process used to make sherry. For example, the flor (a cap of yeast) found within sherry barrels creates numerous aromatics that would not be found in other wines. Because of all these volatile compounds, sherry thus has an affinity for many different foods, which share the same aromatic family. No other single wine has an affinity as many different aromatic families. As some examples, fino and manzanilla have dominant volatile compounds such as acetaldehydes (present in walnuts, green apples, spanish ham), acetoin (fatty, creamy & buttery flavors), lactones (apricot, peach, coconut), diacetyls (butter and cheese), solerone (dried figs), and terpenes (citrus fruits and flowers). Now, acetoin is also found in apples, leeks, asparagus, broccoli, brussel sprouts, roasted coffee beans, strawberries, quinces, cantaloupe, corn syrup, fermented tea, butter, cheese, milk, and yogurt. Terpenes are also found in basil, bergamot, rosewood, cinnamon, coriander, fresh figs, ginger, mint, nutmeg, olives, grapes, rice, rosemary, safforn and citrus zests. Thus fino and manzanilla will likely pair well with all of those foods, or dishes which use those items as bridge ingredients. Asparagus is often considered one of those difficult, if not impossible, pairings, yet there is a scientific reason why fino would make a good match. You might not have considered pairing a fino with a steak, but use some of the terpene spices on that steak, and you might have yourself a delicious pairing. Oloroso sherry, an oxidative style, possesses twice as many phenols as fino. Oloroso has four dominant phenols, including benzoic acid (almond aroma), cinnamic acid (cinnamon aroma), phenolic aldehyde (walnut aroma), and coumarin (vanillin, tonka bean and cut hay aromas). You will also find other volatile compounds such as sotolon (curry and walnuts), lactones, and pipernal (vanilla and floral aromas). Thus, oloroso will usually pair well with those foods or bridge ingredients which share a similar volatile aromatic compound. I have but summarized a few of the findings from Chartier's book, and I highly recommend that you check it out. Chartier covers so many other aromatic families and wines, giving you plenty of advice and suggestions for food pairings you might not have considered before. Though the book uses some scientific terms and analysis, in general it is still fairly easy to understand. For the wine lover, who wants to better understand the scientific basis behind wine/food pairings, this is an excellent book. Though not comprehensive, it addresses a diverse selection of food and wine and a future volume may expand the selection. So go out now and buy some dry sherry, maybe a fino or oloroso, and see how well it pairs with a diverse range of foods. Executive Chef/Co-Owner Chris Chung was born in Honolulu, but grew up in Macao, a former Portugese colony where food was often a combination of influences from east and west, and Chung became intrigued by it at a very early age. A family dinner at one of Joel Robuchon’s high end hotel restaurants there was transformative; at the age of eight, Chung vowed to make haute cuisine his career. The family returned to Hawaii, where Chung was educated, but he spent his summers in various Japanese restaurant kitchens on Oahu, learning how to perform every position, from server on up. A meeting with James Beard Award-winning chef Kenneth Oringer in 2004 led to Uni, an intimate sashimi bar adjacent to Oringer’s Clio in Boston, where Chung served as chef. Chung lived and worked in Los Angeles for a few years, but returned to Uni in 2009 and was named a Rising Star Chef that same year. In 2010, Chung left Uni to open AKA Bistro in suburban Lincoln, with his business partner Christian Touche. To me, culinary creativity means that my brain contains a database of flavor profiles, which I constantly combine in both traditional and surprising ways. In my case, it’s WHO are my inspirations, not what. In this order: Joel Robuchon and Ken Oringer. I research simple recipes and find ways to translate them into something fresh and new, or to reconstruct them in an original way. I often draw a sort of Food Tree on paper, containing 10-12 items, and I play around with the branches of that tree until I see a pattern emerge that I think might taste good. Yes, I depend upon AKA's assistant sashimi chef, Tony Messina, whose judgement I trust. We invented a testing night for consumers; we call it "No Boundaries." It happens every Monday night. Diners pay $45 to try six courses of whatever I’m playing with, and we solicit their reactions. If they make a face, that dish never gets on the menu. If they rave, it goes on the next day. No. The day I cannot come up with a creative idea for food is the day I shoot myself. Accidents, happy or otherwise, don’t often happen in my kitchen. One time, however, a customer ordered our spicy tuna tataki dish and I added some chunks of foie gras to it, just for fun, and it was a hit. Now it’s practically our signature appetizer. Rant: Julia Child on Hell's Kitchen? Can you imagine Julia Child as a contestant on Hell's Kitchen, being screamed at by Chef Gordon Ramsay? "You call this Boeuf Bourguignon? It is swill, you stupid donkey." Or Julia Child on Chopped, trying to make a soufflé using Velveeta, paprika, bay leaves and gummy bears? Today would have been the 99th birthday for Julia Child, an influential and colorful chef, author and TV personality with strong local roots. She helped to demystify French cooking, as well as encourage cooking in general. Cooking shows have certainly changed since Julia Child debuted on The French Chef on February 11, 1963. Her show was one of the first cooking shows, and was successful from the start, airing for ten years. In general, she would prepare a different dish each show and as the shows were taped live, mistakes sometimes occurred, which added to Julia's charm. After that show, Julia would go on to star in a number of other successful cooking shows. Nowadays, there are probably close to 200 cooking shows on television, on the Food Network, Cooking Channel, Travel Channel, Recipe TV, Bravo, Fox and others. The popularity of cooking shows seems to be at an all time high. Sure, there are still some traditional cooking shows, where a single chef or cook shows people how to prepare a variety of dishes, from many different cuisines. But there is now a wide range of other types of food-related shows as well, including the "competition" shows, where food lovers, cooks, chefs and others compete in a variety of different culinary challenges and contests. I watch some of those shows, such as Hell's Kitchen, Chopped and Man Vs Food, primarily for the entertainment value. But I wonder what impression such shows give about food lovers and chefs, whether it portrays them in a positive light or not. Does Adam Richman promote gluttony as he demolishes heaping platters of food within a limited time period? Does Anthony Bourdain depict the stereotypical "ugly American" who makes fun of other cultures? Do you really need to scream and insult chefs, like Gordon Ramsay does, to inspire them? Do these food stunts reflect the reality of the life of a chef? You are seeing more and more chefs appearing on television, including locals like Joanne Chang, Jamie Bissonnette and Jason Santos. It seems to benefit them, to provide positive publicity for their endeavors. So they must consider the trials and tribulations of these culinary competition shows to be worth it. But that is but one element of the equation, and does not say anything about the previous questions centered on Richman and Bourdain. What would Julia Child think of such culinary competition shows? Would she ever participate on such a show? Or would she see them as mere stunts, unworthy of her attention? What are your thoughts on these culinary competition shows? Do they have value beyond entertainment? Do the positives outweight the negatives? As Julia Child said at the end of every show: "Bon appétit!" Are you already a sake lover or are you new to sake, curious to learn more? Whatever your level of sake knowledge and appreciation, you might be interested in the new Sake Chat on Twitter. Sake is still an underappreciated and largely mysterious beverage, and many people want to learn more about it. They want to understand the truth about sake, to shatter their misconceptions. I will moderate Sake Chat approximately once ever two weeks, an hour long discussion on all things sake. The discussion topics will vary, from general Q&A sessions to more specific issues like food pairings and sake recommendations. I will post the future discussions dates and topics on my blog, as well as broadcast them on Twitter and Facebook. Everyone is welcome to join in the discussion. The first Sake Chat will be held on Monday, August 15, at 9pm EST. The hashtag for this event will be #SakeChat, so just follow that hashtag and you will be able to follow the entire discussion. The topic for this initial chat will be a General Q&A. Come to the chat and ask me your sake questions, and I will do my best to answer them. At future Sake Chats, there might be special guests and/or moderators, such as sake store owners or sake brewers. If you have any suggestions for Sake Chat, feel free to leave a comment here or email me. Though Part 2 of this series ended with the start of the 17th century, we need to once again reach back in time, to the 7th century, but focused on a single location, a monastery which is of great significance to our story. The Hautvillers Abbey was established in 650 A.D. by Archbishop Nivard of Reims, who was later made a saint and his feast day is September 1. 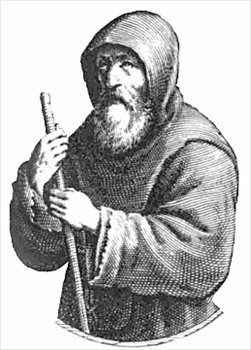 Saint Bercharius of Moûtier-en-Der, who had urged Nivard to establish Hautvillers, became its first abbot. Bercharius would later found two cloisters, but was stabbed by a monk he admonished, dying two days later. But one of the most fascinating moments in the early history of the abbey involved a theft, a corpse and a few miracles. It sounds almost like the plot for a horror novel but it is not. In 841 A.D., Teutgise, a monk from the abbey, made the long trek to Rome, approximately 900 miles. It was likely a long and dangerous trek. For a long time, Teutgise had been sick, and all of his previous prayers had yet to lead to a cure. So, while in Rome, he chose to pray before the remains of St. Helena, the mother of Emperor Constantine who also was said to have discovered the location of the True Cross, the cross upon which Jesus was said to have been crucified. Teutgise's illness was suddenly cured and he was joyous at this seeming miracle, but then a bizarre, and rather non-Christian, idea took hold. He decided to steal the remains of St. Helena and bring them back to Hautvillers! I am not sure how much security they had around the remains, but Teutgise was successful in his theft. (I am still hunting for more details about this theft.) Obviously the Archbishop of Reims and the Abbot of Hautvillers were shocked and angry when Teutgise returned with the remains. They were probably worried of the Pope's reaction once he learned of the theft. Yet the abbey had other problems at that moment, as it had not rained in months, and their crops desperately needed water. Teutgise told the peasants that they needed to fast for three days and pray to St. Helena, and she would provide deliverance. Miraculously, it did rain, and other miracles supposedly occurred as well, all attributed to St. Helena. At that point, the Archbishop and Abbot became more amenable to Teutgise's theft. They then contacted the Pope and were able to successfully negotiate keeping the remains. Now that sounds like some impressive negotiations, being able to keep a stolen corpse which caused miracles. Now jump ahead seven hundred years. Around 1560 A.D., during the French Wars of Religion, which were generally fought between Catholics and Protestants, the Abbey of Hautvillers was destroyed. So the monks had to relocate temporarily to Reims and remained there for about forty years until Hautvillers was rebuilt. The region saw conflict once again during the Thirty Years War (1618–1648), which turned the region into a battleground, destroying some of the vineyards. Then the Fronde, a civil war from 1650-53 A.D., led to mercenaries occupying the region up to 1659 A.D. It was not an easy time for the abbey. In 1661 A.D., the Abbot of Hautvillers commissioned the construction of a large vaulted cellar, to better store their wine. At this time, they only owned 25 acres of vineyards but also received numerous tithes of grapes from local farmers, in places such as Ay and Avenay. Pinot Noir, which may have been first planted in the region during the 15th century, was still one of the primary grapes during the 17th century. Part of the reason for the prominence of this grape was a rivalry between Champagne and Burgundy. The Champagne region tried to make red wines that could compete with Burgundy, though their wines tender to be lighter in color, but they sometimes made it darker using elderberries. The man most credited with the invention of Champagne as the sparkling wine we now know is Dom Pierre Perignon, despite the fact that much of what is said about him is myth and falsehood. Perignon was born around 1638 A.D. and became a Benedictine monk at the age of 19. In 1668 A.D., he transferred to the Abbey of Hautvillers and was appointed as its Treasurer and Cellar Master. Despite the Abbot having commissioned a new cellar only seven years before, much of the abbey was rundown and in need to restoration. Even the vineyards were suffering, so, from the beginning, Perignon faced a number of obstacles. Numerous myths have spread about Dom Perignon, and part of it may be due to Dom Grossard, who worked in the Abbey until the French Revolution. The Revolution led to the closure of the abbey, and the archives vanished or were destroyed at that time. As most of the records were lost, this allowed Grossard to embellish the legend of Dom Perignon. Other myths have been propagated by champagne houses and marketers, trying to create a compelling image for champagne. It was actually in the 1880s that many of the legends of Dom Perignon became wide spread and prominent. For example, Dom Perignon was not blind his entire life, only losing his sight when he got older. He never stated "I am drinking stars" and his palate was not so exceptional that he could determine the identity of the vineyard from merely tasting a grape. And he did not invent champagne, and in fact worked for much of his life trying to remove the bubbles from the wines he produced. None of that should diminish his actual contributions though to wine making. As mentioned previously, the seconday fermentation of wines in the Champagne region was a natural occurrence for centuries. That was generally not a problem for wines kept in casks but those that were bottled could potentially explode in the spring. Approximately 20%-90% of a vintage might be lost in this way, requiring monks to wear iron masks or other protection in the cellars to prevent serious injury. This is why these wines were sometimes known as "cork-popper" or "devil wine." In 1662, before Dom Perignon became the Cellar Master of Hautvillers, the English had already started discussing the creation of sparkling wine. In that year, Christopher Merrett, an English physician and scientist, presented a paper to the Royal Society of London, noting that adding sugar and/or molasses can cause a secondary fermentation that creates sparkling wine. The wines of the Champagne region had often been exported from France to England in casks during the autumn. At this point, it was a still, sweet drink, often a gold-tinted red color. In the spring, the wine in those casks would often undergo a natural secondary fermentation, becoming effervescent. These sparkling wines became popular in England, and Marquis de St. Evremond, a soldier, courtier and satirist, helped popularize it. He belonged to a group known as the Epicureans, or Ordre des Coteaux, because they refused to drink any wine except those from Ay, Hautvillers and Avenay. It also helped that a couple English innovations made it easier to keep sparkling wine. First, Sir Kenelm Digby, a scholar, traveler, pirate and pioneer archaeologist, discovered a method to produce inexpensive, strong glass bottles. These bottles were square and colored either translucent green or brown. Prior to this innovation, the thinner glass bottles were suspectible to breakage as well as explosions due to the pressure of the bubbles. Second, they began to seal the new bottles with corks, rather than wooden plugs. This too made it safer and allowed the wines to last longer. Both of these innovations would eventually spread to France. Dom Perignon desired to create a white wine that people would prefer to the red wines of Burgundy, and he did not want any bubbles in his wines. Yet many of his wines ended up with bubbles. Part of the reason was that he disliked storing wine in casks, as he felt they caused his wines to lose their aroma. So, he preferred to bottle them as soon as possible. He realized that white grapes tended to produce the most bubbly wines, so he preferred to use black grapes, and especially Pinot Noir. In addition, white wines seemed to last for only a year or so, but wine made from black grapes could last up to ten years. The famous white wines of Ay were not true whites, ranging in color from grey to light pink, and Perignon wanted to make a true white wine. Perignon would eventually begin using British glass bottles and corks for his wines, as well as double the size of the abbey's vineyards. Though the blending of wines was commonplace, Perignon innovated by blending grapes from different vineyards before they were pressed, rather than afterwards as was the usual case. In addition, he created a series of rules for viticulture and viniculture, set forth in 1718 by Canon Godinot, and many of those rules are still used today because they were very wise advice. First, Perignon preferred to only use Pinot Noir grapes, even though his vineyards were also planted with Pinot Meunier, Pinot Gris, Pinot Blanc, Chasselas and maybe Chardonnay. Second, he recommended pruning the vines so that they would grow no higher than three feet and produce a small yield. Third, he advised that you should carefully harvest, trying to keep the grapes whole on the stalks as well as cool as possible. Fourth, he recommended that no one tread on the grapes or allow maceration of the skins in the juice. What was necessary was a fast working press, and Perignon had access to three press houses. There were a number of other precautions and measures that he also devised. By the time Perignon died in 1715 A.D., the popularity of sparkling wine from Champagne had spread throughout France, and was even popular in Paris. Though England might have dabbled in sparkling wine, it did not become a significant industry or garner much publicity. France became the center of the sparkling wine movement. The 18th century would see a great surge in both the production and popularity of Champagne, with the founding of numerous great Champagne houses. Yet that history is more familiar and has been covered well in a number of books and articles. So my own exploration of the early history of Champagne is finished. Just remember that the history of Champagne did not begin with Dom Perignon. 1) Join Author and Cocktail Writer Luke O'Neil as he leads guests on a pub crawl through Pickering Wharf in Salem. Guests will meet at 62 Restaurant & Wine Bar on Wednesday, August 24, at 5pm for a lil' nosh and some refreshments then proceed to several watering holes on Pickering Wharf including: Finz, Victoria Station, Seaport Cafe, and Capt's Waterfront. Each location will feature the drink(s) they are best known for as well as some free nibbles to help you on your journey. Guest will complete their journey at 62 Restaurant & Wine Bar for a finishing line reception. Bring a copy of Luke O'Neil's new book Boston's Best Dive Bars and get your copy signed. The event will be from 5PM-8PM, food will be provided, cash bar and open to the general public but RSVP is mandatory to Salempubcrawl@gmail.com. Guests are welcome to jump aboard the crawl at a later time if they have RSVP'ed in advance (Schedule below). This event is part of 62 Restaurant & Wine Bar’s ongoing Wednesday Night Lounge Nights. 2) Beginning Monday, August 15, Executive Chef Michael Lishchynsky of 49 Social will begin serving lunch on weekdays. For the first course, highlights from Chef Lishchynsky’s menu include: Tuna Tartare (avocado yuzu puree, mango, cucumber, taro root chip, chili sauce - $16); Slider Trio (braised short rib grilled cheese, lobster salad, BBQ duck confit - $13); and, Asian BBQ Spare Ribs (pork spare ribs, apple kimchi salad, Asian BBQ sauce - $11). Moving onto the main course, guests can enjoy options such as: Lobster Roll (smoked bacon, Bibb lettuce, tomato, fine herb and lemon aioli, taro root chips - $20); Seared Cod (Wellfleet clams, artichokes, tomato, snap peas, white wine nage - $19); House Burger (sharp cheddar, crispy leeks, Bibb lettuce, tomato, truffle aioli, rosemary garlic pommes frites - $14); Gnocchi (oven roasted tomatoes, squash, broccolini, caramelized eggplant, basil, pine nuts - $14); and, Grilled Kebabs (tabouleh salad, rice pilaf – chicken: $15; steak: $17). Executive Chef Lishchynsky will also serve an array of gourmet salads and flatbreads, including: Watermelon & Arugula Salad (cucumber, shaved fennel, feta cheese, grapefruit vinaigrette - $13); Seared Tuna Nicoise Salad (fingerling potatoes, charred asparagus, tomato, Nicoise olives, egg, citrus mustard vinaigrette - $15); Pear & Prosciutto Flatbread (pears, prosciutto, gorgonzola cheese, baby arugula, balsamic glaze - $12); Veggie Flatbread (artichokes, Kalamata olives, roasted red peppers, feta - $12); and, Truffle Mushroom Flatbread (wild mushroom, truffles, baby arugula - $14).